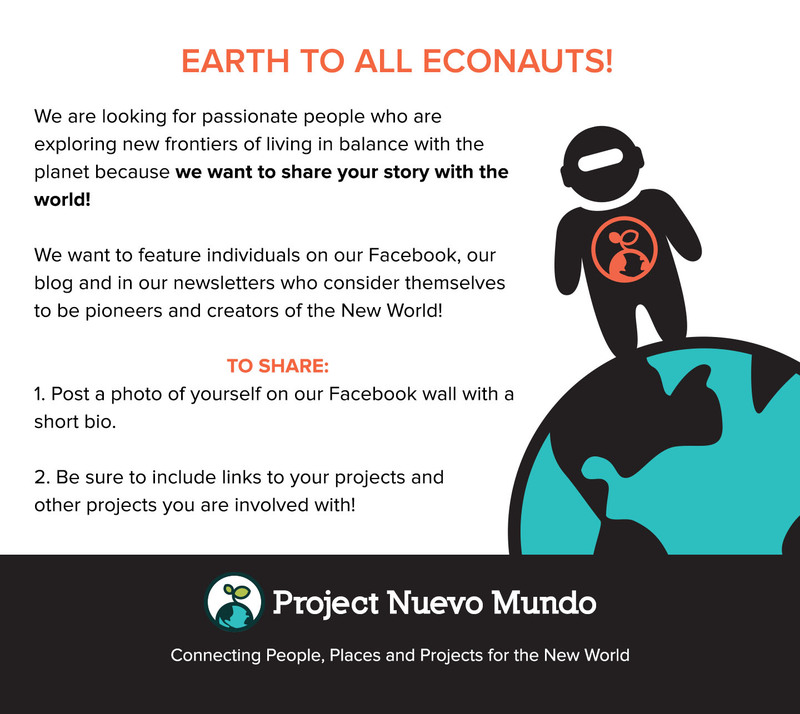 Visit the Project Nuevo Mundo Facebook and post your story on our wall to become a featured Econaut in our newsletter, in social media and in a blog post. Great idea! There are so many pioneers springing up all over the planet and much to be excited about!